Alki became the official print journal of the Washington Library Association (WLA) in 1983. 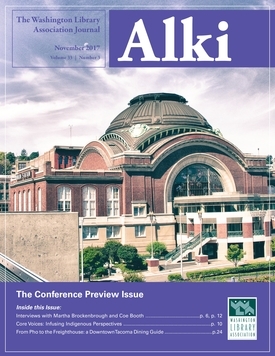 Alki’s editors have each brought something different to the job and the intervening years have brought new production techniques, new ways of relaying content and new expectations. Alki’s originators wanted a journal that was broader in scope than other library association publications, a journal that published material other state library journals and periodicals would not and that encompassed diverse people and ideas within the library community. So, from the beginning, Alki’s offerings have included everything from scholarly historical pieces and conference session reports, to humor and philosophical pieces. Alki has had it all. 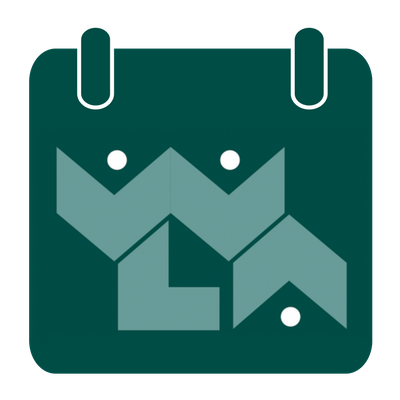 WLA Wednesday is the weekly e-newsletter of the Washington Library Association — a weekly digest from WLA members to WLA members. Have news to share? Please send it to the WLA office by Monday to be included in that week's digest. Please include "For WLA Wednesday" in the subject line. You can access the archive of issues here. WLA published its first monthly online e-newsletter, Connect, in March 2011. The purpose of the newsletter was twofold: to help publicize WLA activities and to encourage library employees throughout the state to share ideas and information about their library system. WLA suspended publication of Connect in 2015; you can still access old issues here. The Advocate was the official newsletter of the Washington Library Friends, Foundations, Trustees, and Advocates (WLFFTA) Section. You can access archived issues of the Advocate here. Medium was the magazine for the Washington Library Media Association (WLMA), now WLA's School Library Division. You can access archived issued of Medium here.